Many digital delays with modulation have been produced. 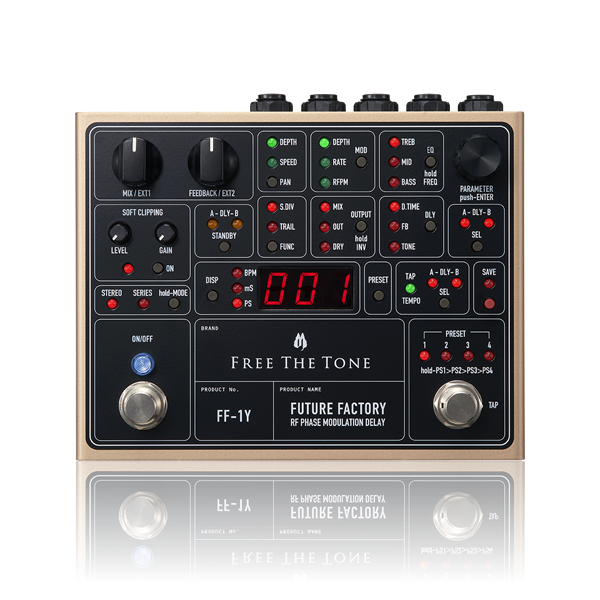 FF-1Y prepared 3 band EQ for the exclusive use of delay sound. In order to correspond to various phrases, the tone adjustment of the delay sound is crucial. The 3-band EQ can select the frequency according to the equipment used. Not only guitarists and bassists but also saxophone players, violinists, DJs, and keyboards, etc. expand their opportunities. We also added a soft clipping circuit to one of the delay channels for users who often use it in monaural. By adding distortion to the delay sound and mixing it with the original sound, you can create an unprecedented musical sound. While the band of the delay sound is narrowed, harmonics are added, and it is possible to create a sound that leads to vintage equipment. Two delays are built into the FUTURE FACTORY. 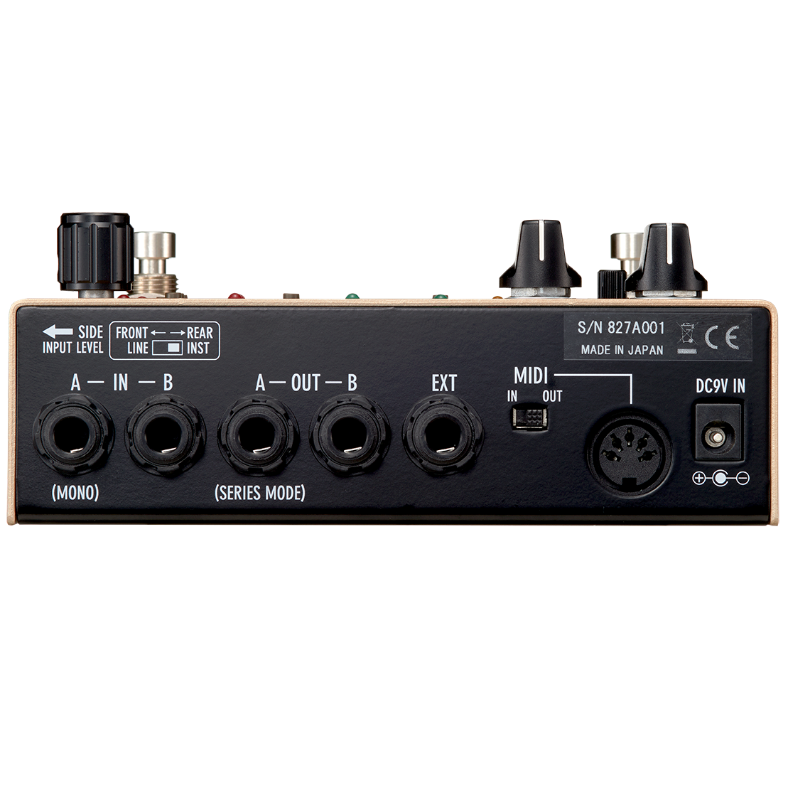 It is easy to use as a stereo delay or to connect two delays in series and use them in monaural. 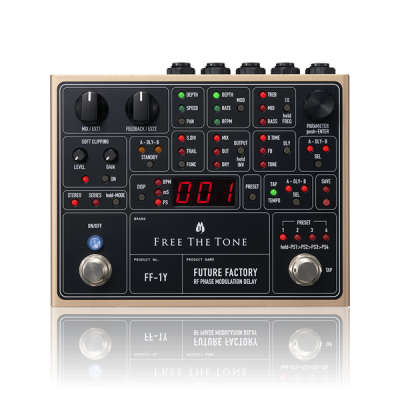 In pursuit of sound quality and new functions, the unrivaled delay effector that brings together FREE THE TONE's "now" is "FUTURE FACTORY FF-1Y." This delay stimulates your imagination and creates a new sound just for you.